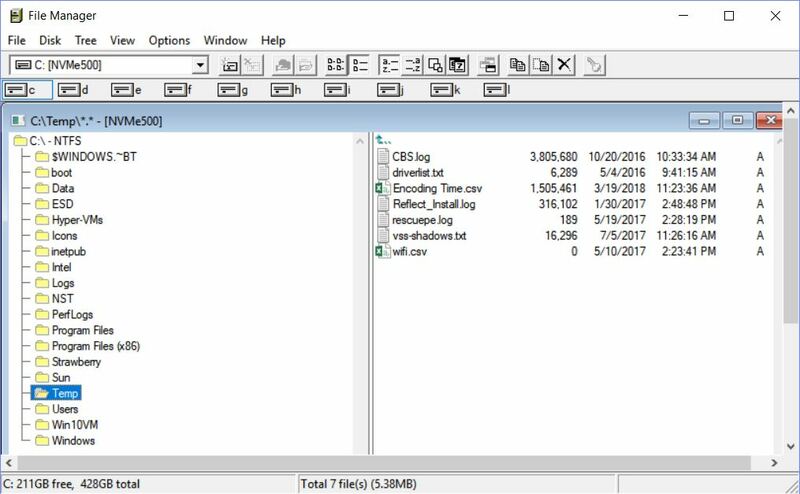 Late last week, Craig Wittenberg released source code for a slightly updated version of the old Windows File Manager on Github. “How old?” you ask. According to Tom Warren at The Verge, we’re talking almost 28 years ago. Circa-1990, Windows 3.0 vintage. I learned this courtesy of Shawn Brink at TenForums.com this morning. He even includes a download link in his piece “Microsoft open sources original File Manager from 90s for Windows 10.” Just for grins I downloaded a copy, unpacked the zip file, and fired it up. It runs pretty well. So, when MS releases open source Win3.0 File Manager code, it even works! Blast from the Past: Looks hauntingly familiar, and runs pretty fast, too. If MS Releases Open Source Win3.0 File Manager, What Makes It Work? Interestingly, Peter Bright at Ars Technica observes that the public release version is for x86 (32-bit) Windows. He revisited the source code and cleaned up some minor issues he found to create a version that also builds in 64-bit mode. The 32-bit version runs just fine, though, even on 64-bit machines. I’ve included a screen cap from my production PC’s desktop to prove it. Be aware that you have to double-click entries inside File Manager to make things happen. Just like in the old days. The Open Sourcing of Windows … 3.x? This raises the very interesting question of what else from Uncle Bill’s closet might start showing up on Github. I can’t wait to see what other old stuff starts seeing the light of day. This could get interesting!